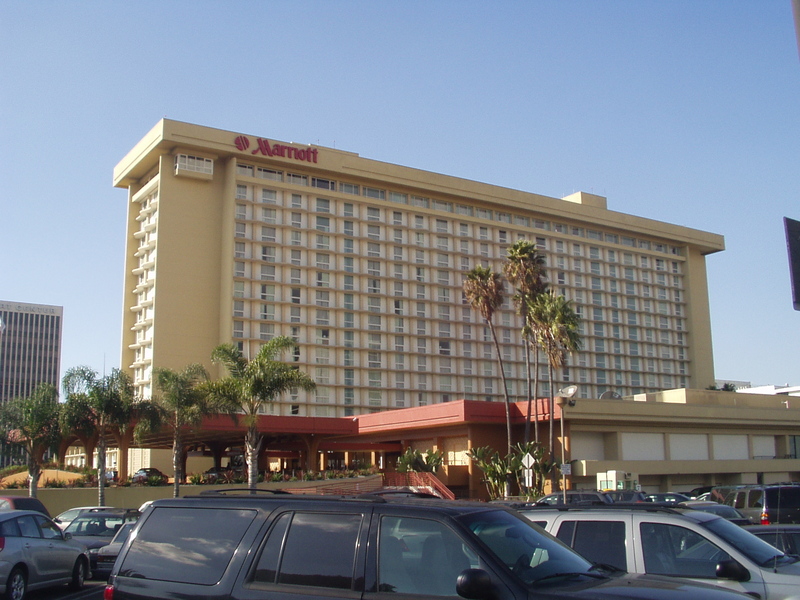 Los Angeles Airport Marriott, exterior. Site for Loscon. 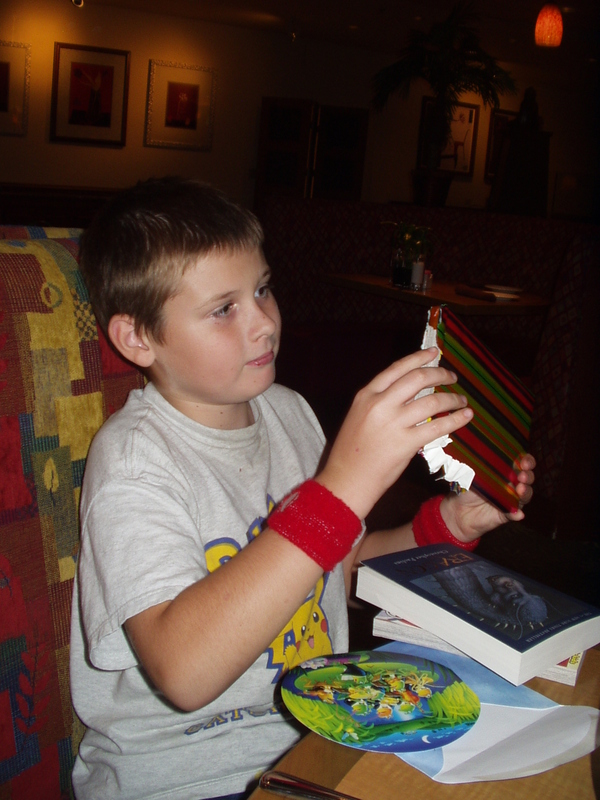 Aaron Thornton, unwrapping a birthday present.